This weeks newest features let you suggest new competitors the moles should be tracking as well as configure personalized notification settings.. Simply find a Product you wish to track and add it to your dashboard. Then add your competitors URL’s to your product. Then add your competitors URL’s to your product. If this is not yet one of the tracked competitors, by simply adding the Url one of our Team Members is noticed and will be adding it to our tracked competitors with 2 hours. Once the competitor is available for further tracking, you will be notified and can continue adding products for this competitor. In your Account you can now configure how often you want to be notified via email of price changes that are occurring. Soon you will be able to set a threshold for the notifications as well. Stay tuned for more features and are Shopify Integration! 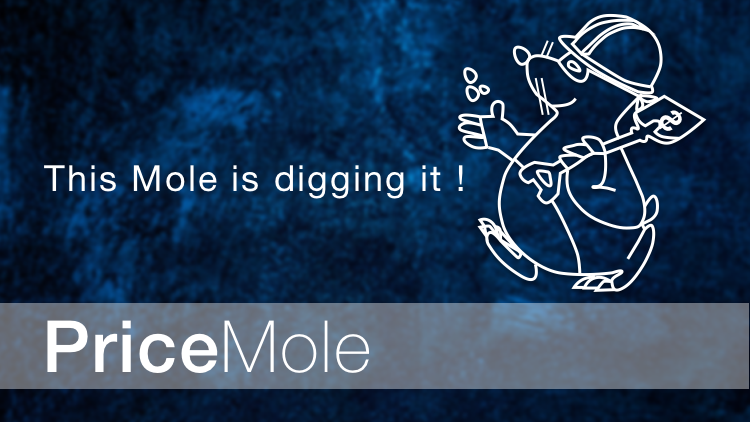 Thanks to everyone who has signed up and is sharing their insights to make PriceMole amazing!